But, a whooping “74% of businesses don’t employ anyone to manage their social media marketing.” This is something we’ve encountered at Super Harbor and found that save for a few, most small business owners ARE the social media team. Coupled with the already high demands of running a business the task of creating content can be daunting. 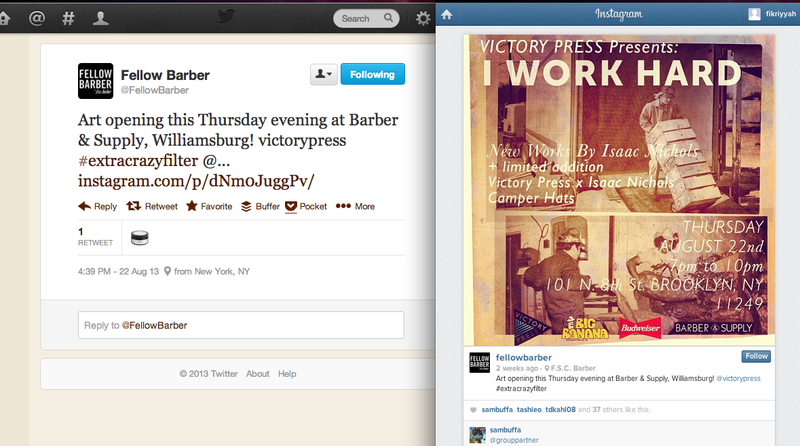 In light of that here’s 10 content ideas if you’re in charge of social media for a barbershop or hair salon. “Why just for barbershops and hair salons?” you might ask. While we would love to write the end all be all guide for social media no matter the industry we’re afraid such a guide would be too generic for this purpose. Meanwhile, businesses within the same industry tend to have a similar ethos and pace to source their content from. When you can use pictures and images do so. 1. The shop employees relaxing after a hard day of work. 2. Closing shots of the shop. 3. Barbers in action, cutting, cleaning, sweeping, disinfecting their tools. 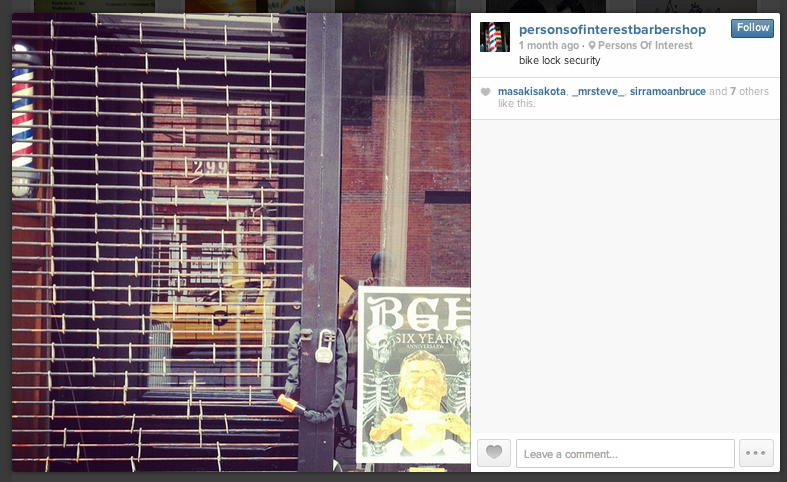 Persons of Interest Barbershop in Carroll Gardens. 4. What hours are you open till? On the weekend? Are you closing for a special event? 5. A morning post greeting followers. 7. Picture of your store mascot (pet), if you have one. 8. Personal anecdote about great customer service. 9. Highlight an event in the surrounding community your customers would appreciate knowing about. 10. Post about a community event you recently sponsored, attended, participated in, donated to, etc. Fellow Barber knows what we’re talking about. 11. Talk about the therapeutic effects of getting a hair cut e.g., confidence in looking good, friendship in chatting with your hair stylist. 12. Highlight a customer; how long they’ve been coming what they usually get. Give ‘em a discount off the next time they come to incentivize them using their visage for business purposes. 13. Specials and promotions you’re running with other small businesses in the vicinity. 14. Pic of first customer to come in. 15. Pic of the last customer to come in. 16. Pictures of gifts satisfied customers send you. 17. Tell your followers what other social media networks you’re on. 18. Client’s most common questions. -Should I go long or short? -What’s the difference between wax and pomade? 19. Highlight a member of the team, their specialty, how long they’ve been with the shop, etc. 20. Post a picture of the closest trains near you. -For that added Brooklyn flair mention if the train will be affected by weekend service changes. These idea can serve as a content calendar as well. 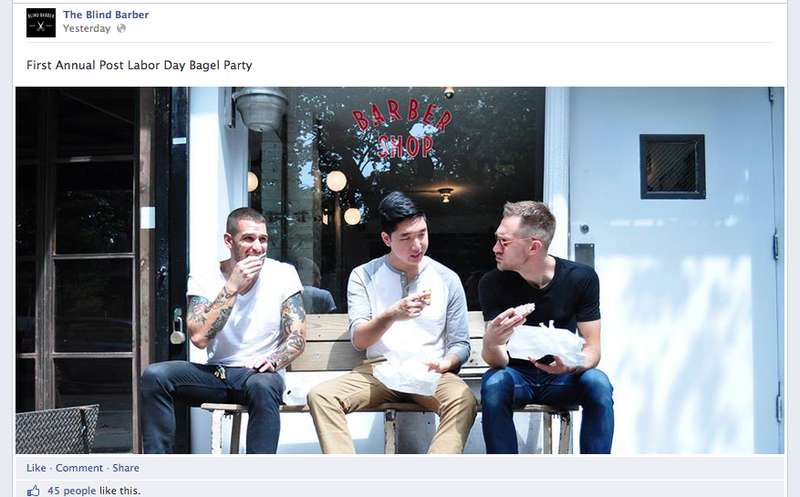 We’ll show you how using a real Brooklyn business. Stay tuned! This was Great information. Information I will use right away. Thank you Super Harbor for sharing.